To put to death the deeds of the body we have to first understand what they are, and how they differ from living according to the flesh. “For if you live according to the fleshSin is anything that goes against God’s will and His laws. To commit sin is to transgress or disobey these laws. The lust to sin dwells in human nature. In other words, it is contaminated and motivated by the sinful tendencies that dwell in all people as a result of the fall into sin and disobedience in the garden of Eden. This... More you will die; but if by the Spirit you put to deathIs to overcome the temptations to sin that arise when our lusts and desires draw us to react in ways we know to be evil (i.e. pride, hatred, evil-speaking, envy etc.) It is the act of denying those thoughts and refusing to agree with them. The lust to sin is not only suppressed, but it actually dies. (Romans 8:13; Colossians... More the deeds of the bodyDeeds of the body are things we realize are wrong only after we have done them, because the Holy Spirit points them out to us; our eyes are opened to the fact that they were wrong. Therefore, anything wrong that we do unconsciously—without our mind or our enlightened self agreeing to it—is a deed of the body. There is no... More, you will live.” Romans 8:13. There is a lot to take in and understand in that one verse. What does it mean to live according to the flesh? What does it mean to put to death the deeds of the body? This is important to know, as the verse clearly states that if we do that, we will live! To live according to the flesh is the same as consciously fulfilling the lust of the flesh (Galatians 5:16) or giving in when tempted by the desires of the flesh. (James 1:14-15) It is consciously committing sinSin is anything that goes against God’s will and His laws. To commit sin is to transgress or disobey these laws. The lust to sin dwells in human nature. In other words, it is contaminated and motivated by the sinful tendencies that dwell in all people as a result of the fall into sin and disobedience in the garden of Eden. This... More, transgressing the law, breaking those laws of God which you knew beforehand. Works of the flesh are things we know to be sin before we do them. 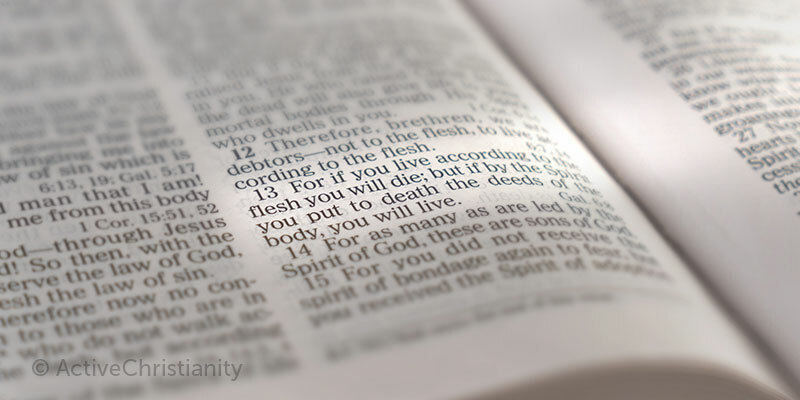 If we continue to live according to the flesh, that is, to live in sin, then we will die. If we do not live according to the flesh, then we have crucified the flesh with its passions and desires. (Galatians 5:24) Then we are crucified to everything we know to be sin. In other words, when we are tempted to sin, we don’t give in to it. Of course this doesn’t mean that our lust to sin disappears by itself; but it is an attitude of mind that requires us to fight the good fight to overcome sin, and this will involve sufferingThe Bible often mentions suffering. 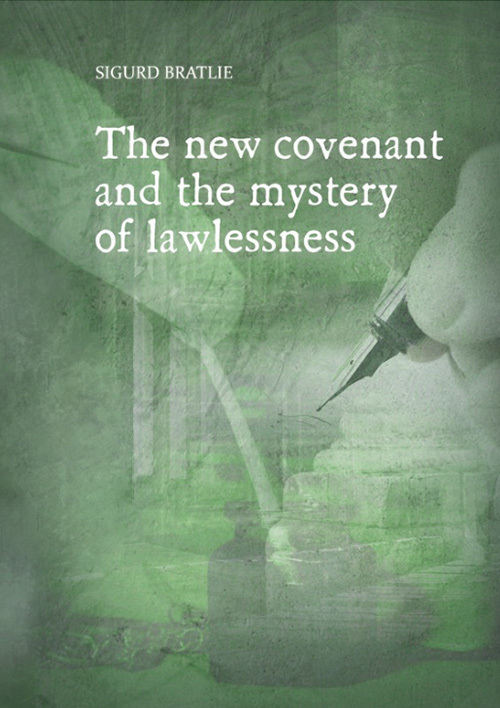 Though this can refer to outward, physical suffering, in the New Covenant it mostly applies to the suffering that occurs when you deny your own sinful lusts and desires and put them to death. It is an inner suffering that occurs because your lusts are not being satisfied, rather than a physical, outward one –... More as the flesh is denied satisfaction for its lusts and desiresThe desires that we experience that go against God’s will. In other words, a desire for anything sinful. See James 1:14. Also called “sin in the flesh.” Although the expression “youthful lusts” is often thought of in connection with sinful sexual desires, lusts include anything that go against what is good and right in God’s eyes. (2 Timothy 2:22.; Galatians... More. “Likewise you also, reckon yourselves to be dead indeed to sinTo commit sin is to consciously do something that you know goes against God’s will. This can be in word, deed, or even thought. (James 1:14-15)... More, but alive to God in Christ Jesus our Lord. Therefore, do not let sin reign in your mortal body, that you should obey it in its lustsThe desires that we experience that go against God’s will. In other words, a desire for anything sinful. See James 1:14. Also called “sin in the flesh.” Although the expression “youthful lusts” is often thought of in connection with sinful sexual desires, lusts include anything that go against what is good and right in God’s eyes. (2 Timothy 2:22.; Galatians... More.” Romans 6:11-12. “Therefore, since Christ suffered for us in the flesh, arm yourselves also with the same mind, for he who has suffered in the flesh has ceased from sin, that he no longer should live the rest of his time in the flesh for the lusts of men, but for the will of God. 1 Peter 4:1-2. Judge it—acknowledge the truth; see it as sin. Do not practice it—deny the temptation, and refuse to agree to sin once you have light about it. This is possible through the power the Holy Spirit supplies to those who are obedient. “Beloved, now we are children of God; and it has not yet been revealed what we shall be, but we know that when He is revealed, we shall be like Him, for we shall see Him as He is. And everyone who has this hope in Him purifies himself, just as He is pure.” 1 John 3:2-3. This article has been adapted from an article by Elias Aslaksen titled “If you put to death – not otherwise,” first published in BCC’s periodical Skjulte Skatter (Hidden Treasures) in January 1937. You may be interested in reading more on our topic page about overcoming sin.